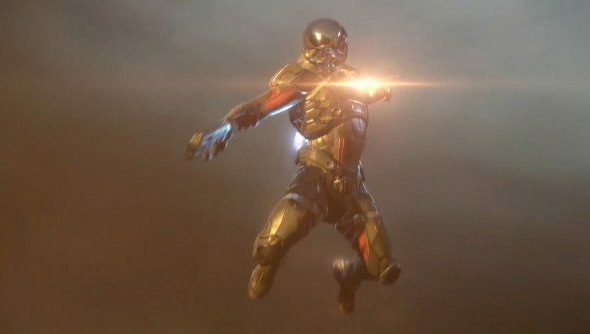 Mass Effect Andromeda is coming, but Bioware still aren’t ready to show actual gameplay. The latest, highly anticipated trailer shows more behind the scenes design, a few quick shots of absolutely gorgeous graphics, but nothing about how it will actually play. Here’s everything else we know about the Mass Effect Andromeda release date and everything else. That really is all that was shown – a little concept art, a couple of shots, not a lot else. The Bioware representative on stage also said that we’ll see more in Fall. It’s now a couple of years since we first saw the game in some form, and while I’m all for teams avoiding spoilers, fans and everyone else were hoping for a little more. Release date is still set for early next year, so there’s plenty of time left, but given how often the game has been put front and center by EA as a selling point for this conference, it’s quite disappointing. We still know nothing about the game either, other than that final scene suggesting that we’ll be taking a cryo-ship there.